I remember my first trip to Vienna in the early-1990’s very vividly. The first word that crossed my mind was ‘grand. Vienna is indeed a grand city. 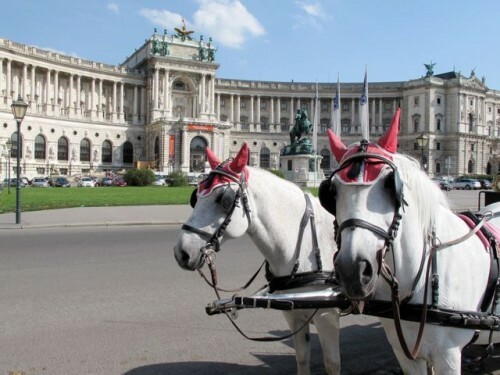 From the magnificent Hofburg to the splendorous Schönbrunn Palace, the regal Spanish Riding School and the stately Belvedere and Albertina museums, Vienna oozes a unique brand of grandeur and pomp. The Viennese wore that brand on their sleeves, exuding pride and deeply-rooted traditions. Walking down the streets then (as a travelling student), I felt slightly out of place as I looked around at the well-dressed Viennese. There were no signs of ‘scruffy’, well, until I passed a shop window and saw my reflection. Fast forward to the summer of 2012. It could have been the weather – it was sweltering – but I sensed a different vibe in Vienna. The imposing monuments in the city’s historic centre still grab your attention but this time, I noticed a youthful vibrancy in the streets, especially in the neighbourhoods fringing the city centre. 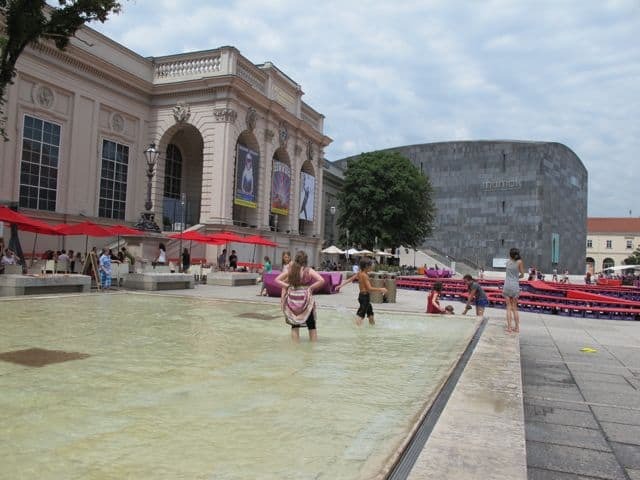 The Museum Quarter is a hot-spot for the city’s youngsters who congregate here on summer evenings to laze on the enzi’s (design chaise lounges), mingle with friends and frolic in the pools. This was a world away from my original impressions of Vienna: waltzes, schnitzel, Klimt and Mozart. 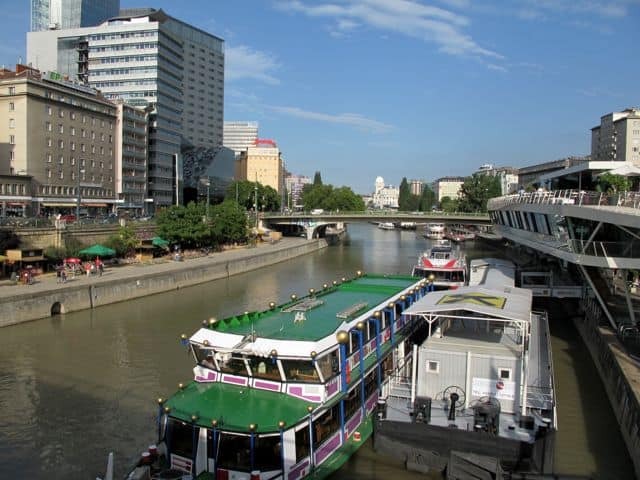 I noticed the same vibe along the quayside of the Danube Canal. There were numerous ‘beach’ cafés, trendy restaurants and clubs. Locals dressed in shorts and tees sat around at the quayside cafés, chilling with a beer or a cocktail, whilst others enjoyed a boisterous meal on the restaurant boats. There was a funky buzz in the air that I’d not felt during my previous visits to Vienna. 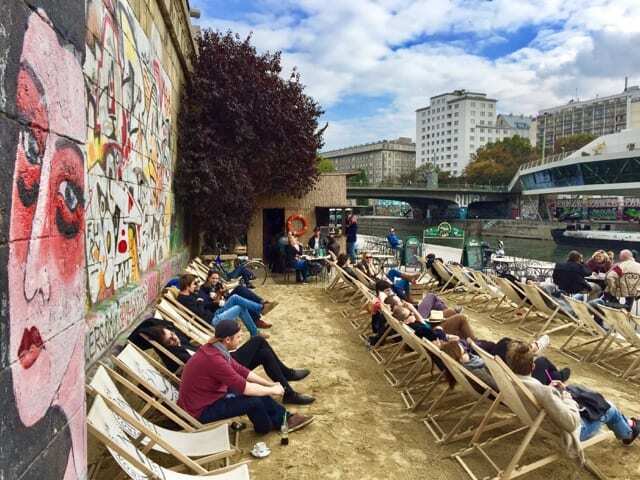 Chilling on an urban beach along the Danube Canal. That funky buzz became more tangible as I strolled around Vienna’s Sixth and Seventh Districts on either side of the Mariahilferstrasse. Whereas the Mariahilferstrasse is packed with the usual European high street brands, the side streets of this main shopping boulevard are packed with ubertrendy fashion and design stores. Colourful façades, intriguing new design concepts and a vibrant alfresco scene form a fascinating contrast to the staid atmosphere in the historic city centre. This shop is definitely worth a visit, if only to read the cool t-shirt copy! Some cool concepts I stumbled upon included Feinkoch, a supermarket where you grab a recipe, buy the groceries listed on the back of the recipe card and follow the cooking instructions at home for a quick, organic, nutritious meal! The recipes looked so good, I wished I was staying in a holiday rental with a kitchen so I could try out a few of those recipes! I was also intrigued by Anzüglich, a clothing store that only sells garments that are fair and organic, and Useabrand, a store where shoppers are encouraged to create their own clothing designs. It was soon very clear to me that the contemporary urban scene in Vienna is alive and kicking, brimming with new ideas and concepts. I always thought of Vienna as a grand city with a rich cultural heritage, a city that was perhaps firmly-rooted in its glorious past. I’ve now discovered a vibrant, funky side to Vienna; one that’s characterised by youthful energy, artistic exuberance and cutting-edge concepts. Vienna has always been a city I would recommend to anyone. Now I have more reasons to do so. Check out my walking tour of Vienna. Note: a big thank you goes to the Vienna Tourism Board for hosting me in Vienna. As always, opinions expressed above are mine. Keith, this sounds awesome. I love the way you describe Vienna here – beautiful cities with a lot of history and culture that have a young, fresh and vibrant vibe – that’s exactly the kind of place I love! I’ve never been to Vienna, but you’re making me really want to go now. Also, if somebody could send me one of those designer enzis for my apartment, that would be lovely.